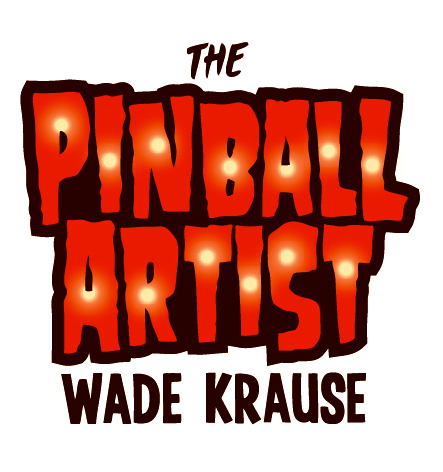 Hand Screened Print of Brian’s original Wade Krause: Pinball Artist DVD cover art. 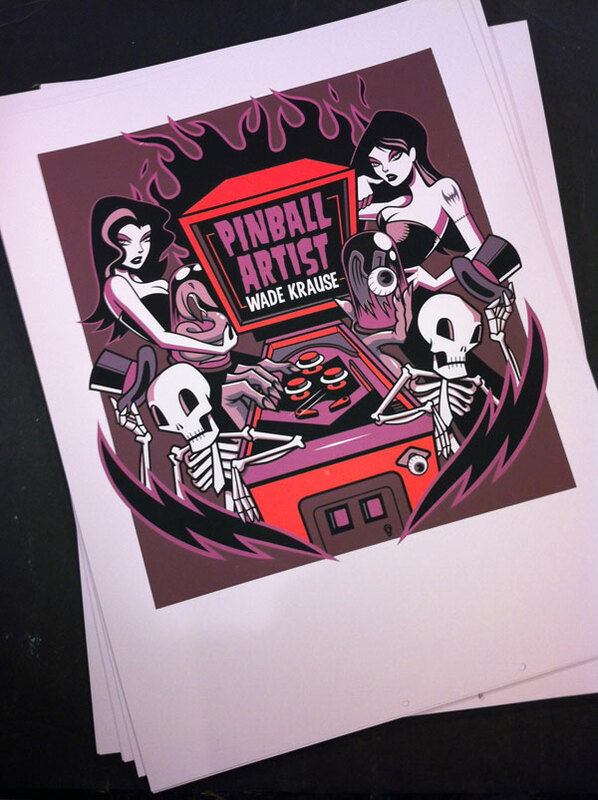 Brian Holderman, creator of Luther’s Vendetta and Silver Bullet custom pinball games, has exhibited multiple times at the Andy Warhol Museum, completed numerous murals in the Pittsburgh area, and recently completed the design and artwork for Kickback Pinball Cafe, in Lawrenceville, PA.
Brian hand screened these 6 color fine art prints on colored archival museum quality paper. Each print in this first run of 48 is signed and numbered by the artist. Signed and numbered by the artist (limited edition of 48 prints).